April is here, and it is time to hop on over to the Monthly Freebies for some free foods and 2000np! In addition to this months freebies, you can pick up some extra items at the Springtime Celebration! Remember to collect each day, or you will miss out on the bonus item offered on April 13th! Clues to hidden items will be posted here, so check back for more information on how to get the extra items from Rosie. The NCmall is hosting a small negg hunt. Collect all 3 neggs by visiting the NCmall and claiming the free prize. When you open the third negg, you will be awarded with a special NC item, the Negg Head Bonk item. Don't miss out on this event. If you haven't found them all yet, just revisit the mall at the beginning of the hour, as they seem to appear hourly. If you haven't found the Spring Merch Negg Hunt items, you might want to take a look at this post so you don't miss out on more freebie items! Want to have the same appearance as the Bank Manager today? Then you're in luck! Visit the The Neopian Second-Hand Shoppe today to find several wearable Wooden Barrels donated by various Neopian characters, from Princess Amira to Jeran! Chia party at the Rainbow pool! Make sure to pick up today's free prize at the Springtime Celebration. Bonus Clue: In a frightful woodland's carnival ground. Find treasure just by clicking 'round. Update: Click around at the Deserted Fairgrounds shops and games to collect the Rotten Negg Face Splat. (The item will show up in a pop up window). The location is random between users. Lulu also awards the Daily Dare NC Challenge Prize Pack and a Golden Lulu Medallion for those that completed all 30 of the NC Challenges. The pack contains four wearable items. Day 4 of the Neggtacular Giveaway. Make sure to collect everyday, or you will miss out on the bonus prize given out on the 13th. Remember this giveaway is different than the NCMall Negg Hunt and the Spring Merch Negg Hunt. Make sure to collect those before time runs out! 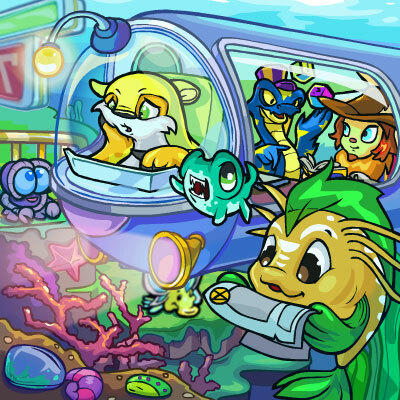 Petpet Park is asking all of the closed beta testers to join in a load test held today between 11 am - 1 pm NST. This will be to test the servers capabilities, so expect some lag as we crash the servers! You will also have the opportunity to test a new feature of the park expected to be ready in time for the load test. They will also be resetting all of your previous activity in the game allowing you to start fresh with a new petpet. You can read more information about the beta test and updates here. 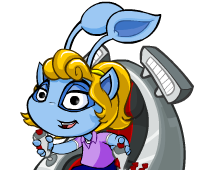 Avatar Reminder: The Quiguki April Fools Avatar is available today by visiting the new features page. You may need to refresh. 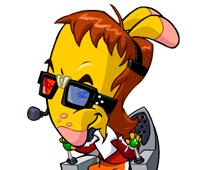 You are now eligible to use 'Quiguki April Fools Avatar' as an avatar on the NeoBoards! Springtime Giveaway: We are aware that the springtime giveaway is currently not working. We will have updates on the prize when it becomes available! Although Day 5 seems to have escaped us, Day 6 has arrived here with less trouble. Since this glitch affected everyone, it will most likely not count for or against the amount of days you have collected for the bonus prize. Don't miss out on collecting today! Bonus Clue: A deck on this interstellar base is your prize's current resting place. Visit the Virtupets Space Station Recreation Deck or Supply Deck and visit the links. The prize will show up in a popup. Make sure you get the clue above before looking for the bonus item. Day 7 of the Springtime Giveaway is here, and Rosie has another freebie to collect.